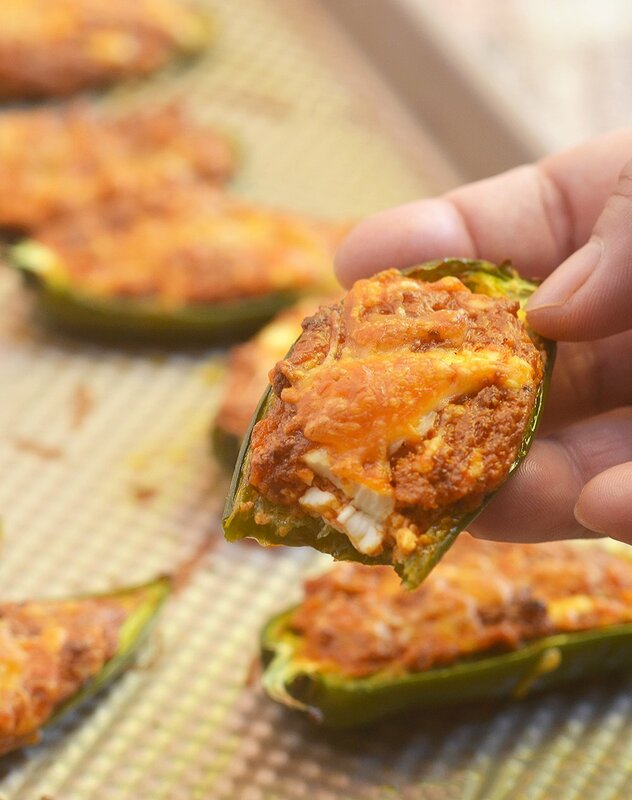 Chorizo-Stuffed Jalapeno Poppers filled with chorizo, cream cheese, and shredded Mexican cheese blend are the perfect game day eats! They’re smoky, spicy, creamy and full of bold flavors you’ll love in an appetizer! 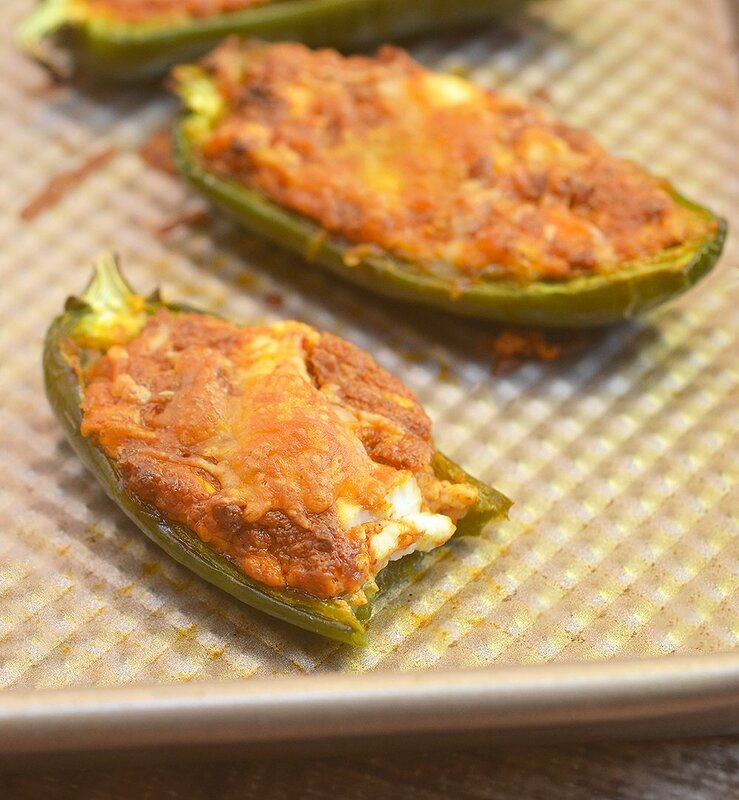 Jalapeno Poppers are one of the most popular recipes on the blog and based on our mutual love for these addicting appetizers, I thought I’ll share with you another of my favorite ways to make them, with chorizo stuffing! I took these Mexican-style jalapeno poppers for a test run yesterday during our Dodger’s game shindig and they were quite the hit! Everyone at the party beelined for them, I had to make another batch in the middle of the game which was 10 innings and 5 hours long, btw. 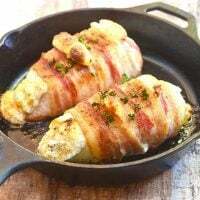 While our previous stuffed jalapenos are made with crisp bacon, cream cheese, and shredded cheddar, these Chorizo-Stuffed Jalapeno Poppers are filled to the brim with crumbled chorizo, cream cheese, and shredded Mexican cheese blend for spicy, creamy, and boldly flavored appetizers you won’t get be able to get enough of. They’re bursting with delicious smoky heat you’ll absolutely love with your favorite dipping sauces. 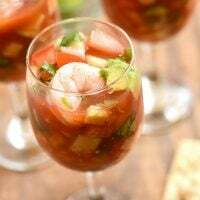 We like to enjoy them with the refreshing cilantro-lime dip I included in the recipe instructions below but they’re just as amazing with a simple bottled Ranch dressing or a more elaborate homemade queso dip. The hardest part of this recipe, if that, is preparing the jalapenos. Please use gloves when deseeding! You may also try this pepper corer (this is an affiliate link) and be done in a breeze! Not unless you want a lot of heat, I recommend using mild chorizo as the poppers can get really spicy when you take into account the heat from the jalapenos. Break up the chorizo while browning but do not over stir or you’ll end up with a paste-like consistency. Make sure to drain well and allow to cool before combining with the cream cheese. 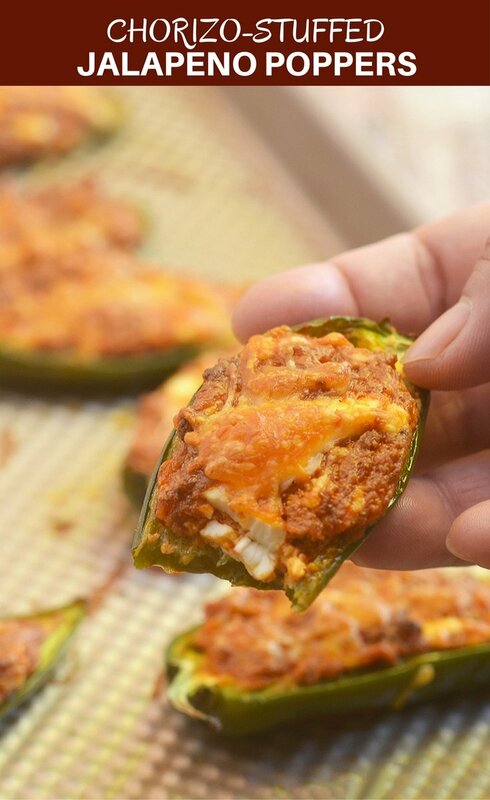 Get these stuffed jalapeno peppers a try for your next game day party. They’re so easy to make yet guaranteed to please the crowd! 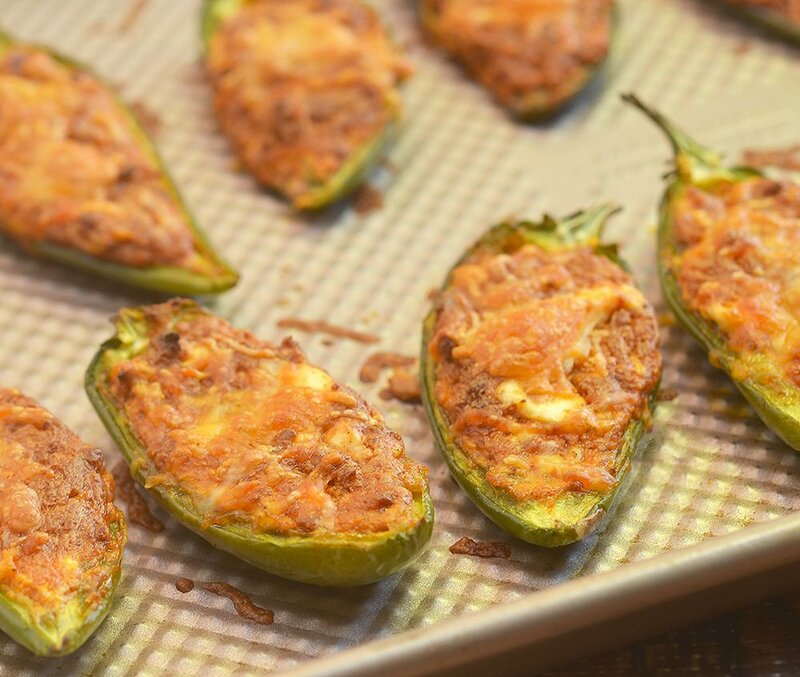 Chorizo-Stuffed Jalapeno Poppers filled with chorizo, cream cheese, and shredded Mexican cheese blend are the perfect game day eats! They're smoky, spicy, creamy and full of bold flavors you'll love in an appetizer! Remove chorizo from casings if not using bulk. In a wide pan over medium heat, add chorizo. Break into small pieces with the back of a wooden spoon. When chorizo begins to render fat, add onions. Cook for about 5 to 7 minutes or until chorizo is lightly browned and onions are softened. Remove chorizo from pan and drain well. Let cool completely. 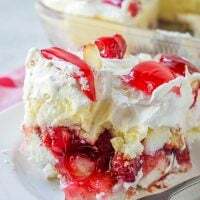 In a large bowl, beat cream cheese using an electric mixer at medium speed until smooth and fluffy. Gently stir in chorizo and shredded cheese. Spoon chorizo mixture into each of the hollowed pepper halves. 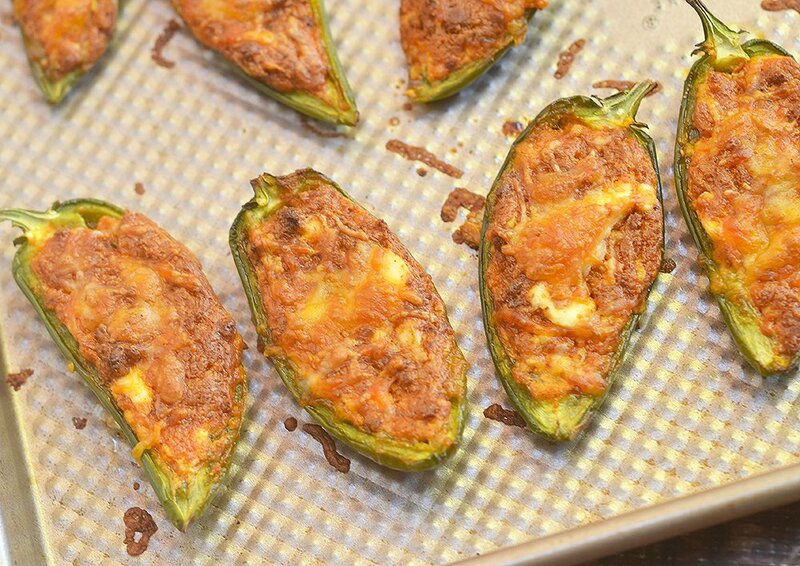 Arrange stuffed jalapenos in a single layer on a lightly greased baking sheet. Bake in a 450 F oven for about 10 to 15 minutes or until cheese is lightly browned and bubbly. Serve immediately with cilantro lime dipping sauce. In a small bowl. combine mayonnaise, sour cream, and lime juice. Stir until well-blended. Add cilantro and stir to combine. Refrigerate until ready to serve. Nutritional Facts provided is for 2 pieces per serving and do not include the cilantro dipping sauce. Ooo these look delicious ! My boyfriend would love these ! These look amazing! 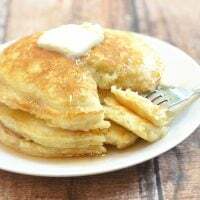 Can’t wait to make them, my hubbys fav! Love the cream cheese! 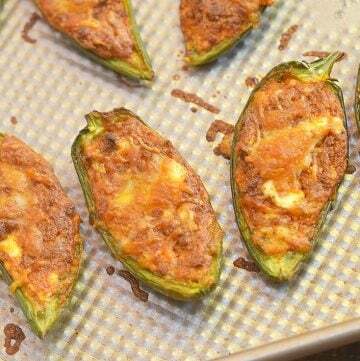 I’m not much of a jalapeño person but I can see these being a great party treat!